If there’s one highly acclaimed movie about the Second World War, it has to be The Flowers of War. Inspired by a novel based on a personal account of the wartime events, the film delves on the experiences of women when China was invaded by the Japanese and how the Nanking massacre occurred. 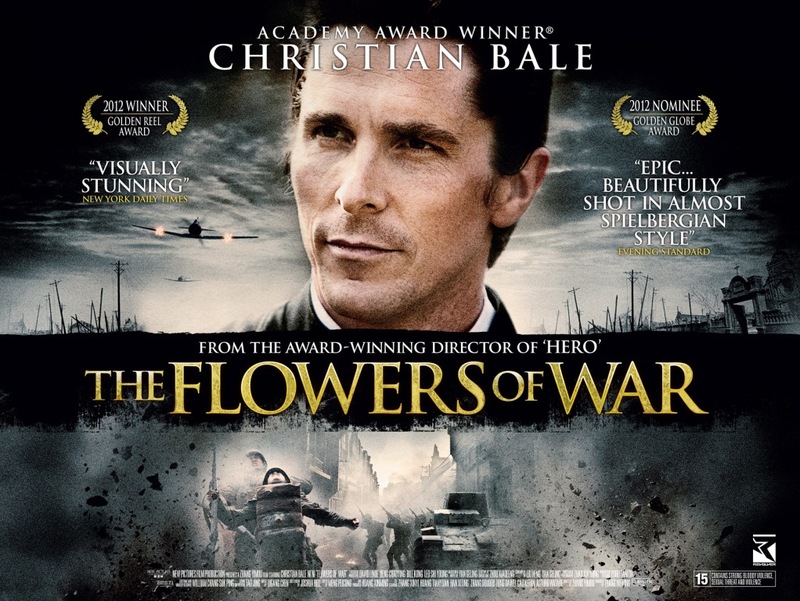 Directed by Zhang Yimou, the movie featured English actor Christian Bale on the lead role playing the character of a mortician named John Miller who found refuge in a group of women including school girls and prostitues and helped them escape from the Japanese soldiers. Filming took place right in Nanjing, China and lasted for six months. Geling Yan, the author of the novel that inspired the film, is a Chinese-American who happened to read a personal account of the war by an American missionary named Minnie Vautrin. The missionary was managing a college in Nanjing at that time. Yan, for her part, said she was so inspired by the account prompting her to write a novel based on the perspective of a 13-year-old girl. The Flowers of War primarily focused on the year 1937 specifically in the month of December when Japan invaded China and allegedly raped and killed thousands of Chinese refugees in what became known as the famous Nanking massacre. During that time when the invasion was happening, schoolgirls sought refuge in a convent at a Roman Catholic cathedral. They met John Miller there, a mortician who was tasked to bury the head priest. While hiding from the Japanese soldiers in the convent, Miller also met there an orphan boy who was raised by the priest and at the same time taught English. Later on, a group of prostitutes arrived in the place to hide from the Japanese. What Miller then did was to pretend to be a priest to ensure the safety of his group. He then took an effort to repair the convent’s truck that they can use to escape. Eventually, some Japanese soldiers assaulted the cathedral but were killed by a Chinese major. From then on, a Japanese officer Colonel Hasegawa assured to protect the convent by assigning guards outside the gate. Hasegawa then invited the schoolgirls to sing at the victory celebration of the Japanese Army but this was turned down by John Miller. The group of prostitutes then volunteered to go to the celebration instead to protect the schoolgirls. Miller helped them disguise by doing their makeup and hairstyles to make them look like the schoolgirls. When the prostitutes were eventually fetched by the Japanese soldiers for their victory gathering, Miller took the opportunity to fled the place together with the girls in the truck he successfully repaired. After its release in 2011, this Nanking massacre movie received rave reviews and awards. It was China’s official entry for Best Foreign Language Film in the 84th Oscar Academy Awards and was also nominated for the 69th Golden Globe Awards. Another nomination it received was in the Hong Kong Film Awards in the category Best Film of Mainland and Taiwan. In the 6th Asian Film Awards, the movie was nominated in several categories including Best Film, Best Director, Best Screenwriter and Best Composer. It won, however, in the Best Newcomer category. In the Golden Reel Awards, the film won in the Best Sound Editing for a Foreign Feature.